8 Fat Quarters. Each piece is about 18 inches long by 22 inches wide. 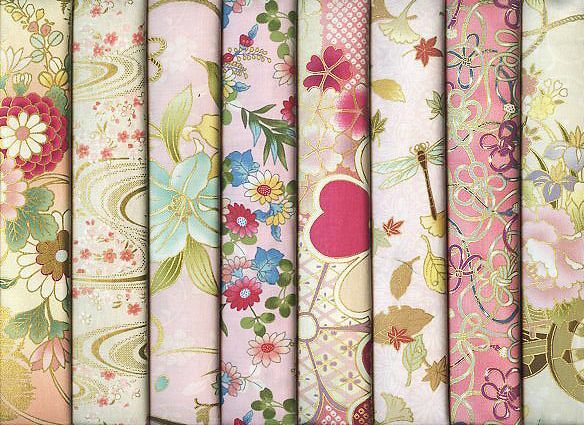 This is a beautiful collection of 8 Asian designs in shades of pink. 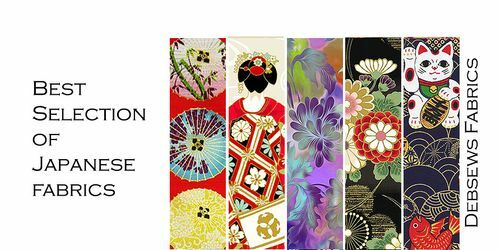 Designs feature Asian blossoms and traditional Japanese elements. Many with gold metallic highlights.